“Great meaningful simplicity is far more difficult to achieve than complexity. In our time we have had too much of the latter and too little of the former.” These words, delivered as part of a lecture on Mozart given by William Mathias in the year before his death, were in many ways a personal credo for his own music. Even in his final months, when he might justifiably have been occupied with larger scale pieces, a setting of the Lord’s Prayer sat on his desk alongside an uncompleted symphony. Prolific and versatile as a composer, Mathias also played a major part in the musical community of Wales as Professor of Music at the University of North Wales, the Artistic Director of the North Wales Festival, and as a fine pianist. He wrote many choral works including numerous short anthems, carols and occasional pieces that have contributed to the popularity of his music. Mathias was born in Whitland, Carmarthenshire, in 1934 and studied at Aberystwyth University before moving to the Royal Academy of Music in the mid-1950s. His contemporaries included some of the most brilliant young composers of his generation, such as Cornelius Cardew and Richard Rodney Bennett, whose work reflected the musical revolution taking place on the continent. Yet although Mathias quickly came to terms with the latest developments, he realised that his roots lay in a musical language that, whilst retaining its own gritty toughness, would address a large and varied audience. His music takes in all instrumental and vocal forms, including opera, and alongside Alun Hoddinott he became the most significant Welsh composer of his generation. William Mathias's manuscripts are held at the National Library of Wales. Please visit the database of their collection here. Mae llawysgrifau William Mathias o fewn casgliad Llyfrgell Genedlaethol Cymru. Ewch i chwilio'u bas data yma. Mathias started writing small pieces of music around the age of five. Although he had no formal compositional teaching at school he was encouraged by his piano teacher – David Lloyd Phillips of Llanfyrnach – to develop his interest and by the time he was ready to move on to Aberystwyth University in 1952 (not initially to read music!) he had a case full of finished but unperformed works. 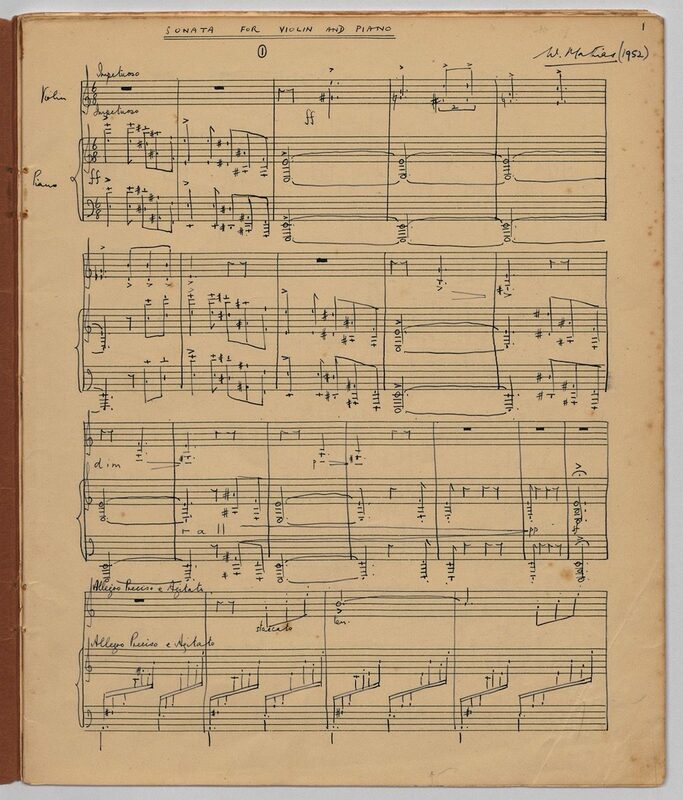 This Violin Sonata was composed after the composer took his A-levels (or equivalent) and he made several copies. It was played quite a few times at Aberystwyth by the violinist Edward Bor with the composer at the piano, but it was subsequently withdrawn. 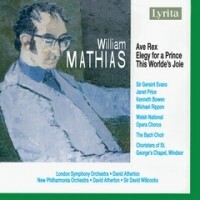 Following the composer’s death in 1992 a few early works of this kind have been evaluated by the Mathias Estate and a request by Sara Trickey to play this Sonata was granted in 2010 and it was then recorded for Naxos with pianist Iwan Llewelyn-Jones. These pages of manuscript are indicative of the composer’s musical calligraphy before it had developed its mature appearance. The work is published by Tŷ Cerdd, and available at the link below. Mathias’s two acknowledged Violin Sonatas, Opp.15 and 94 are also included on the Naxos disc. In 1968 Mathias composed an unaccompanied setting of Dylan Thomas’s poem A Refusal to Mourn the Death, By Fire, of a Child in London for the New London Singers. Although cast on a small scale, the composer was deeply attached to this profound piece and so when commissioned by The Scholars to write a work for a concert in the Queen Elizabeth Hall on London’s South Bank in 1973 he responded enthusiastically by setting the much larger poem Ceremony after a Fire Raid for which he also wrote important parts for piano and percussion (played at the premiere by Tristan Fry). The three panels of the poem are reflected in a continuous musical structure and the graphic war-torn imagery inspires some of Mathias’s most dramatic and demanding vocal writing. Although conceived for solo voices the music works equally well when sung by a large choir – as by the BBC National Chorus of Wales in a performance to be issued by Tŷ Cerdd on 4 August 2017. 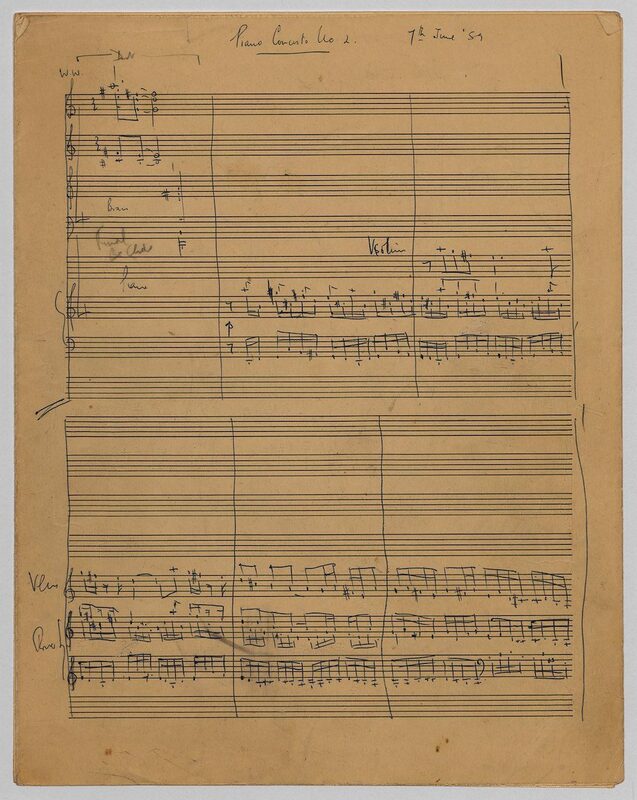 Ten pages of the composer’s first working draft in the form of a very sketchy short score are available to view here. The establishing of the Llandaff Festival by Christopher Cory in the late 1950s marked a major development in Cardiff’s musical life. He also had a very enlightened policy of commissioning the Welsh composers of the time – David Wynne, Daniel Jones and Grace Williams were featured, as well as emerging figures like Alun Hoddinott and William Mathias. 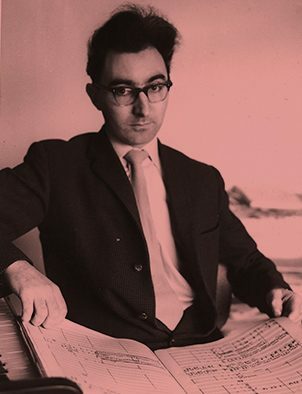 This second Piano Concerto was requested for the 1961 Festival where it was performed by Robin Wood with the LPO conducted by Meredith Davies. It is clear from the outset here that Mathias has assimilated the magical Celtic world of Tippett’s 1946-52 opera The Midsummer Marriage (which Mathias heard in London in 1957) and his Piano Concerto which immediately followed it, but that Mathias has turned this into a landscape of his own which also incorporates the hallmarks of his First Concerto. 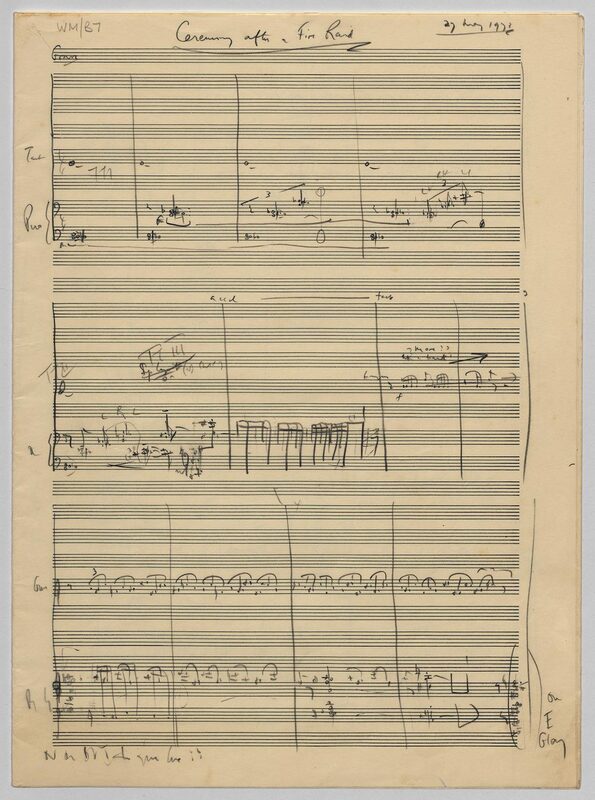 Ten pages of the composer’s first draft of 1959 are seen here, which is an initial working outline in short score form, with clear indications of scoring intentions. The work was published in a two-piano version by OUP in 1964 and is also recorded on the Somm CD listed above. Tŷ Cerdd will be issuing a recording of a performance by Llŷr Williams with the BBC National Orchestra of Wales conducted by Grant Llewellyn on 4 August 2017.